Is Moneyball Analytics All Hype or a Crucial Component to Winning? Which sport spends the most money on analytics? Which one is far behind? Professional sports teams are in a race for data. Not just any data, but the data that will give them a competitive edge and lead to wins. Technology and data have been credited with transforming struggling teams into champions, such as the Golden State Warriors and Leicester City FC. Analytics helps recognize patterns around preventable injuries, such as hamstring injuries. Through video and sensors, teams have upended long-held beliefs about defensive formations and offensive strategies. Scouts use data to select players that not only fit the team’s position needs, but also match the club’s philosophy of play. For those teams that want to be competitive in today’s top professional leagues, technology has become a ubiquitous and necessary component. However, as teams filter mounds of incoming data, finding the unexpected levers that lead to championships becomes increasingly difficult. When every team is using wearables or video, for example, it’s only a matter of time before everyone has the same information and competitive edges slip away. Finding the insights that will help staff unlock the next winning strategy is never-ending as new technologies are brought to market constantly. This research paper will discuss the current state of technology in professional team sports around the globe. 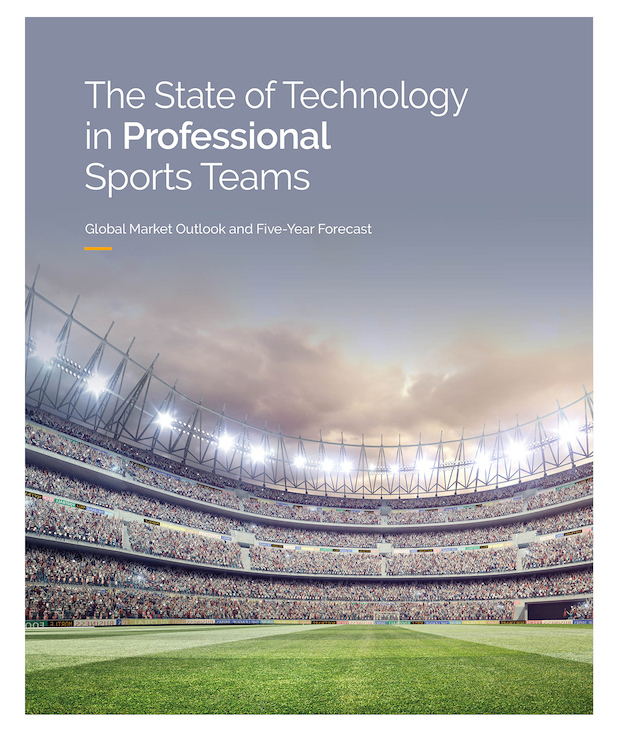 The paper forecasts market growth and technology trends that will shape the next five years for professional sports teams. We also explore the technologies that have had the most impact in sports to date, the ones that have yet to live up to their hype, and the ones teams are betting on for the next five years.